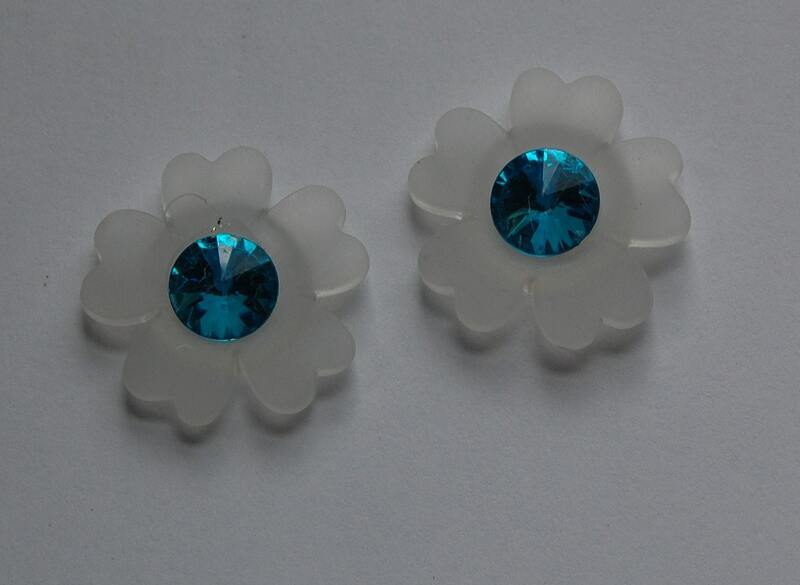 These are vintage acrylic matte white flowers. They have an acrylic blue rhinestone center. These do not have a beading hole. The back is not flat but rounded. These measure 28mm across. You will receive 2 pieces.